Sleep apnea is a terribly disruptive disorder, not only for the patient, but also for their bed partners. 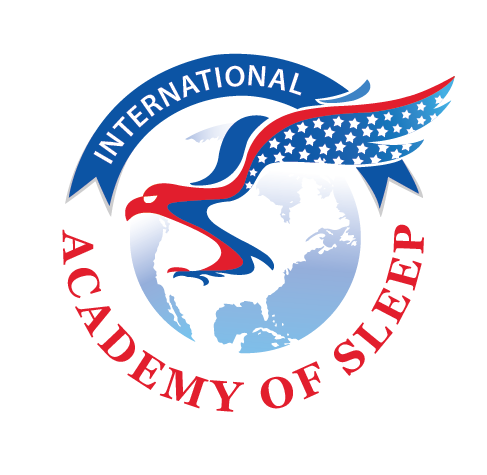 By obstructing your breathing patterns and preventing you from slipping into and sustaining a deep sleep, this condition causes all kinds of terrible nighttime and daytime symptoms including fatigue, moodiness, irritability, lethargy, depression, anxiety, weight gain and even high blood pressure and an increased risk of stroke and heart disease! Overall, sleep apnea has a terribly negative impact upon your quality of life, which is why seeking treatment is so important for patients, and providing treatment is so profitable for dentists. This is especially true when you consider that of the 22 million American adults that have sleep apnea only 10% have been diagnosed! The question is: what are the treatment solutions for sleep apnea and how can your dentist, of all people, help you get a beautiful night’s rest? There is a suite of treatment solutions available for sleep apnea sufferers and by far the quickest, most affordable and comfortable of these solutions is oral appliance therapy. While your doctor will be the medical healthcare professional that provides you with a diagnosis of sleep apnea, it’s your dentist that will provide you with the treatment solution! Oral appliances are custom fabricated from molds taken of your upper and lower jaws and the end result looks very much like a mouth guard or double retainer. These appliances are worn at night and work by shifting the lower mandible forward ever so slightly, or by compressing the tongue. By doing so, oral appliances prevent the collapse of the airway during sleep, which, in turn, prevents the cycle of loud snoring and breathing pauses that are symptomatic of obstructive sleep apnea. Oral appliance therapy is an incredibly effective treatment solution for loud snoring and mild to moderate and some severe cases of obstructive sleep apnea. There are over 80 different kinds of oral appliances for the treatment of sleep apnea on the dental market; so the one that fits your precise diagnosis is something that can only be determined by both your medical doctor and dentist. Most of these oral appliances work by repositioning the mandible (your lower jaw), while some compress the tongue, preventing it from falling back into your airway. Some oral appliances are specially designed to help patients who suffer from severe obstructive sleep apnea, but who cannot tolerate CPAP therapy (Continuous Positive Airway Pressure). If you have been diagnosed with sleep apnea, your next step will be to see a dentist who offers sleep apnea treatment using oral appliance therapy. Not all dentists have received the necessary training to offer this service, so make sure of that before you schedule an appointment. During your initial consultation, the dentist will investigate your case by performing a comprehensive clinical evaluation and X-ray of your jaws, airway and teeth etc. to determine the precise kind and fit of oral appliance that will take care of your problem. He or she will then make molds of your jaws to facilitate the fabrication of your oral appliance. You will need to return to the dentist to have your newly fabricated oral appliance fitted for comfort. Once it has been adjusted to fit your mouth perfectly, you will be instructed on how to care, clean and maintain it. You may possibly be scheduled for a sleep study to determine the efficacy of treatment. Successful management of sleep apnea treatment over the long term requires that you return to your dentist once a year for a follow-up consultation. During this appointment, your oral appliance will be examined and adjusted to ensure maximum comfort and effectiveness. And if you have any problems or have experienced any issues with your oral appliance, now would be the time to raise that!